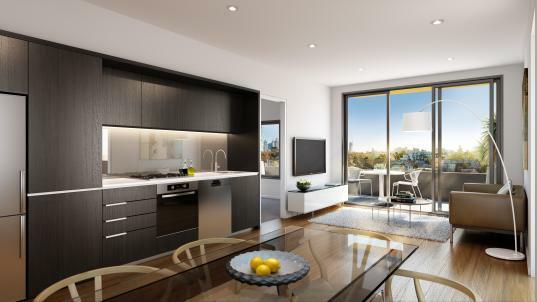 Discover perfect inner city living in the heart of cosmopolitan Carlton. Find your home in the tree-lined avenues of one of Melbourne’s most diverse and vibrant communities. Only 1.3km from the CBD and right at the centre of an array of restaurants, cafes, shops, cinemas, parks and gardens; no wonder locals love living here. This is a unique modern urban development: a new public park. Inspired by the historic landscape types found in Carlton, the park harmonises two components, the square and the street. The square is at the centre of the precinct and features two sloping expanses of lawn beneath a canopy of large shade trees.